Shaaanxo: Bellami Hair Giveaway! 10 Winners! I would love to try the 6 in 1 curler set omgeee!!!!!! To die for!! I would LOVE to try the Bambina 20" Hair extensions!! I would <3 to try the leave in conditioner!! I would love to try the hair extensions! Would love to try the hair extensions! I would love to win the Bellami hair extensions! My hair grows so slow, and I've been wanting to try them for ever but they are so expensive! I hope I win! GOODLUCK EVERYONE! I don't have a Instagram I hope that's okay! I would love to try the curler set. I want to try the extensions!!!! Omggg I would love to try the Magnifica chocolate brown hair extensions. They look so beautiful! Which BELLAMI Product would you love to try? I would love to try the curlers! Definitely the hair extensions! Having a short hair is very convenient but at the same time I miss having a fun long hair! I'd love to try all of the French kiss hair products! Of course the hair extensions. Hands down. Oh please please let me win this, fingers, toes, and lashes crossed!!! Thank you both for this awesome opportunity. I would love to try Bellami Hair Extensions, the Bambina 20"
I have been wanting to buy the hair extensions for so long! I want diva hair! The extensions! I am so missing long hair right now! I really really really would love any of the extensions and the curler set! I would LOVE to try the extensions! I want to try Lily hair!! Looks so amazing and my hair would look so thick and luscious. I'd want to try the bambina 22" hair extensions. I've been trying to grow my hair out for 4 years, but it has reached my collarbones and hasn't grown any more. Having extensions would be great! I would love to try the Curler. My hair is thick and hard to curl. I would like to try any of the bellami hair extensions or any of the 6 in 1 curlers set. Hehehe strait brown hair Extensions!!! Dying to try the 6 in 1!!! I would love to win the 6 in 1 curler set! That would be amazing! I would love to try out any of the extensions just to give my thin hair some life! Id also like to try out the 6 in 1 wand because I've heard so many good things about it! I would really love to try the hair extensions, I miss having my long hair! Thank you for this giveaway!! I would definitely want the Bambina 160g 20" Hair extensions, but it is all amazing!! Great video :). Not sure if my comment posted... But any of the extensions! Especially the ombré ones! I would love the 6 in 1 haircurler !!! Idk if my previous post came on but I would really love to try the extensions 20"
I would love to try the Bellami hair extensions! I've never been able to grow my hair long enough because it gets too damaged and I have to cut it... I love the way these look! I would love to try the Bellami hair extensions in ash blonde! OMG I love you and your videos so much!! I would really love the hair extensions so bad!!! I would like to try anything! All these prizes are so amazing! I would love to try the Bellami extensions, as my hair is so fine. Hair extensions! The perfect birthday present! I'd love to try the 6 in 1 curling set! Or even the extensions! Extensions pleaseee I'm begging, my hair never grows and I just blew my money on crap hair extensions!! Would love to win the extensions as I can't afford amazing quality extensions like bellami. The extensions! Although to try any of their products would be a blessing-I remember seeing Carli speak of Bellami years ago and being intrigued ever since! Woohoo NZ hah. I would love to try the 6 in 1 curler. I would love to try their hair extensions :)! I would love to try the hair extensions. I have heard so many good things about them. Thanks for having awesome giveaways!!! ❤️❤️❤️❤️In love with this contest !!! I'll be happy with eather one ! If I'm the winner send my both ! Just kidding any any any and I'll be happily if the choice 😘😘. Thx #bellami thx #shaaanox for this awesome chance !! I would love to win the 6-1 complete curler set! I would love to try the 6 in 1 curler set from Bellami! I have never owned hair extensions in my life and my hair is growing out too from a pixie cut. I miss my long hair and have heard amazing stories about the bellami extensions from Nicole you and Megan ciaoobelloxo. I would love to try the extensions all my favorite beauty gurus wear them!!!! I would love to try the extensions and curling wands!!! I would love the extensions :). Thank you for the giveaway!! I would love to try the ciao Bella curlers ! I would love to try the hair extensions! I have always wanted to try them I just never had the money! This is my second comment :) I would love trying the extensions out! I would love to try the curler! So many yiutubers rave about it! Hey!! I have mid length hair and would love to try the hair extensions by bellamihair. I have heard nothing but great reviews and would love to have the bellami hair experience! Thanks for the opportunity! I would loooooooove the extensions. 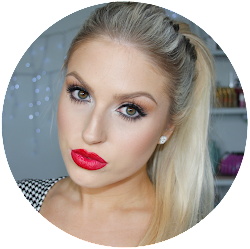 I would like to try bambina in a verrrry light blonde- like yours Shaaanxo. I have to have my hair shoulder length as I scuba dive but would love to be able to clip in some extensions for a night or day out then pop them out when I dive. Bliss. Thanks for the opportunity Shaaanxo and Bellami! I really want to try the Bellami 6in1 Curler Set. It looks amazing! My hair rarely holds a curl so I'd love to give them a go! I NEED TO TRY THE HAIR EXTENSIONS! I have been trying to get my hands on a few wefts for ages! I love bellami and I use the 6 in 1 hair curler RELIGIOUSLY. Totally want to try Bellami hair curling set! And any of their thermal spays to keep my hair protected too. I would love to try the hair extensions. I've had nothing but bad luck when it came to other extensions with being in bad condition receiving them or being applied wrong or just not made properly. I would love to have some well made beautiful extensions!! Plus long hair makes me feel beautiful and confident!! I really really really want extensions but honestly would be blessed to win any of it. Thanks Bellami and Shannon!! Would love to try the Bambina 160g 20" Hair extensions!! They look amazing! I really wanna try the Bellami Hair extensions! DEFINATELY THE MAGNIFICA HAIR EXTENTIONS! I would love to try the extensions! I've always wanted to but no where around here sells them and they are expensive online. I've heard nothing but good things about Bellami and would go crazy if I won!! I have super thin hair and think these would give my hair some life! I love your channel btw! My absolute favorite!! Id love to try the extensions, they look amazing and there are so many good reviews! I'd love to try the 6-in-1 Complete Curler Sets!! I would really love to win the hair extensions. I made the terrible decision to cut my hair short for the summer months and its barely growing at all. Just want my long hair back! Winning the hair extensions would be amazing as I've been looking at buying some but it's so expensive with shipping included.